The top part of the Taj Mahal in front of a cloudy morning sky. 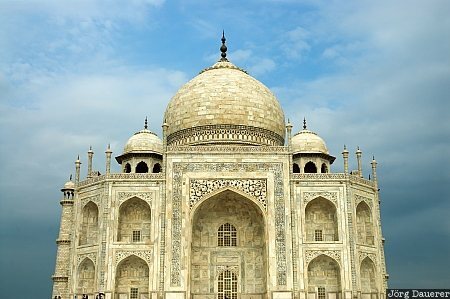 The Taj Mahal is in Agra, Uttar Pradesh in northern India. This photo was taken in the morning of a cloudy day in August of 2006. This photo was taken with a digital camera.